The Project is implemented by the Association of Restaurant Workers, Hotel Workers and Craftsmen Napredok from Pehchevo. 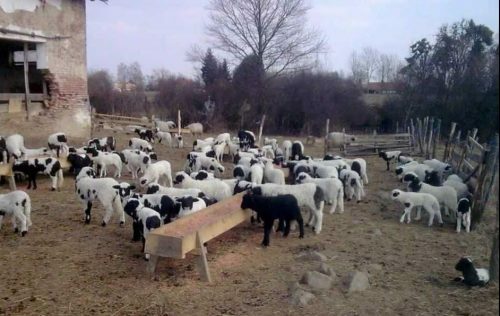 The general objective of the project is to protect and to increase the number of indigenous sheep population of Pramenka-Ovchepolka breed. Visits were made to several farms in Macedonia, registered in the Ministry of Agriculture, Forestry and Water Economy as breeders of the Pramenka-Ovchepolka breed population in order to see and select the best 100 lambs of the Pramenka-Ovchepolka population for establishment of a nucleus herd. The choice and selection of the nucleus herd were made under the professional supervision of Prof. Vladimir Djabirski, PhD and Prof. Kocho Porchu, PhD from the Faculty of Agricultural Sciences and Food as a provider of public services concerning development and research, establishment and maintenance of the sheep herd book. Regular veterinary checks are performed and herd books are kept for the nucleus herd, accordingly. The facility where the nucleus herd will be kept is adapted, bulk food feeders and grain feeders were installed for the lambs, as well as a protective fence. 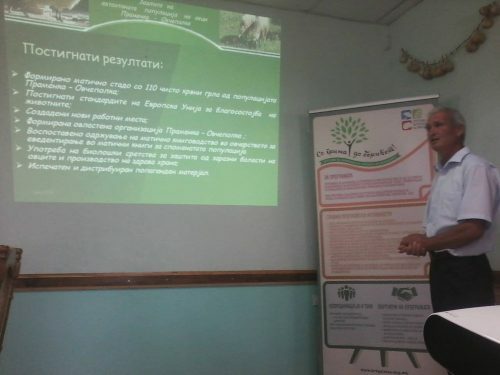 A roundtable for discussion was organized on 10.06.2015, in Pehchevo, when all characteristics of the Ovchepolka breed were presented, as well as the future plans for protection and increasing the indigenous sheep population and future development plans. A flyer about the project activities and the main characteristics of the Ovchepolka breed was produced and distributed.